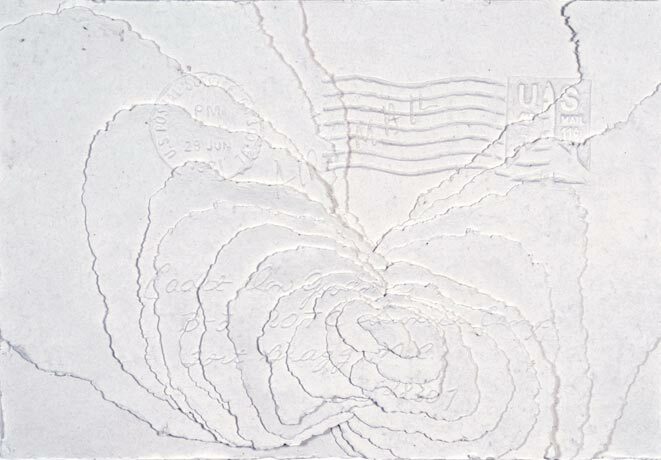 With pulp made from my parents’ old bed sheets, I remade an envelope from my parents 1971 love letters. 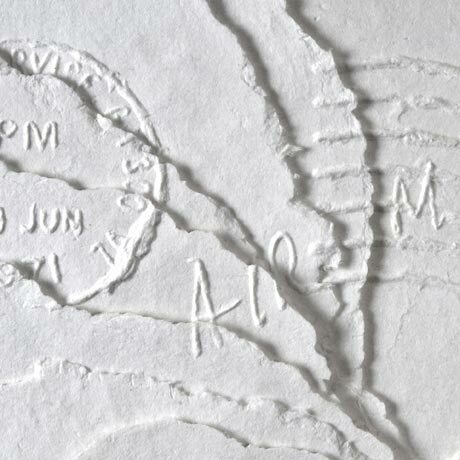 Inspired by continental drift, cast paper fragments are layered and registered to create low relief. This is a unique opportunity to utilize fibers and text closely bound to each other, while embodying the history of rag paper. Size: 16" x 23" x 2"